Why should you play at Bingo.com? If you like the social aspect of bingo, Bingo.com has a lot to offer. They provide chat hosting and a chance to win extra prizes in an endless selection of different chat games. They give you the possibility to play bingo for free in the beginner’s room an hour a day to try it out for 14 days. 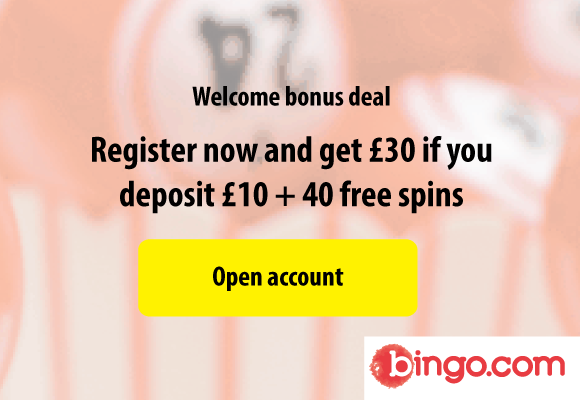 Bingo.com offer 200% up to 10£ + 10 free spins on your first deposit. You can also benefit in other ways when playing bingo at bingo.com due to their loyalty program. They offer side games, mini slots, when you have a bingo game ongoing and those games build up your loyalty meter. You can advance in levels and get to spin a wheel of fortune, where you get better and better prices the higher level you reach. They also offer free tickets to bingo if you keep an eye open for their offers and if your game round ends so that you have only 2 numbers left in your ticket, you get to participate in getting an extra money price that is shared with others that also got close to winning. Participating in tournaments will bring excitement and great prices to your way. 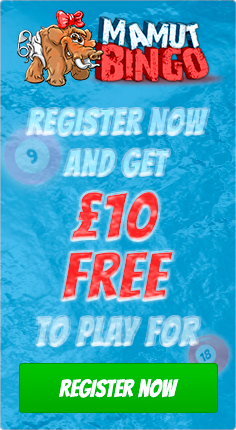 They offer different variations of 75 ball, 75 ball variant and 90 ball bingo. Their multiple rooms guarantee that you will find a favorite. The site also has a great selection of slot and casino games and even a live casino. Paypal, Visa, Visa Electron, Mastercard, paysafecard, Skrill, Zimpler, Earthport and bank transfer. You can get in contact with the customer service by email or live chat. They offer service 24/7 and you can also call to get service in English. For Swedish, Norwegian or Finnish service, they offer an email address and you can also ask to get service in these languages on the chat if there would happen to be agent available who speaks it. Their FAQ page is providing answers to a broad range of questions in case they are not available, and they have an excessive bingo guide on the site.